Hawaii is the most recent of the 50 U.S. states (August 21, 1959), and is the only U.S. state made up entirely of islands. It is the northernmost island group in Polynesia, occupying most of an archipelago in the central Pacific Ocean. Hawaii is the 8th-least extensive, the 11th-least populous, but the 13th-most densely populated of the 50 U.S. states. Hawaii’s coastline is approximately 750 miles (1,210 km) long, which is fourth in the United States after Alaska, Florida, and California. 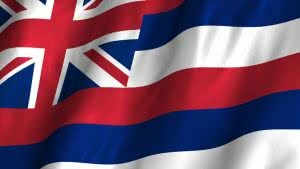 Name of Hawaii corporation must be distinguishable from the name of any existing entity as well as fictitious names, trade names, trademarks or service marks registered with the Secretary of State. Company Expresswill research your company name to make sure it meets Hawaii’s standards. Required documents: Articles of Incorporation filed with the Department of Commerce and Consumer Affairs. Turnaround time: About 12-15 business days. Expedited filings for an additional fee is available – 2-3 days. Minimum number: The minimum three directors is required, if there are three or more shareholders, minimum two directors, if there are two shareholders and one director minimum, if there is one shareholder. Corporations must also have a president, vice president, secretary and treasurer. Director qualifications: A director who is a resident of Hawaii must maintain a registered office and agent. Principal office to may be located outside of the state. Local registered agent is required. Time to file: on or before the last day of the calendar quarter that marks the anniversary of incorporation. The state filing fee is $15. Name of Hawaii Limited Liability Company must be distinguishable from the name of any existing entity as well as fictitious name, trade name, trademark or service mark. Company Express will recearch LLC’s name for you to make sure that it meets to the state requirements. Turnaround time: About 12-15 business days. Expedited filings for an additional fee is available – 2-3 business days. Minimum number: At least one managers/members is required. Hawaii permits an LLC’s principal office to be located outside of the state. Local registered agent is required. Time to file: LLCs must file their annual report by the last day of the calendar quarter that marks the anniversary of formation. The state filing fee is $15.